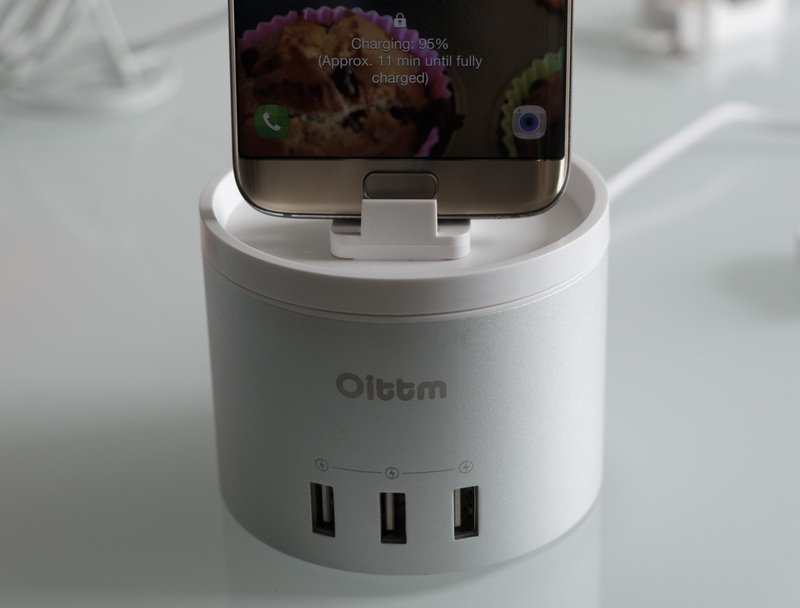 The Oittm Charging Stand is an aluminium-wrapped plastic cylinder, nine centimetres across and eleven centimetres tall.The top of the stand has a small square hole, to which one of three charging adapters can be fitted to suit your device. 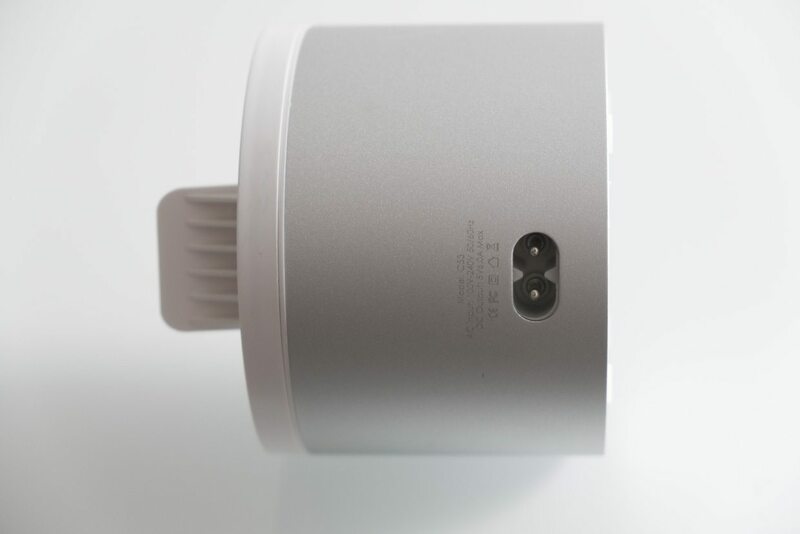 On the front of the device, there are three further USB ports. Each port delivers 5V / 2.4A, up to a maximum of 6A for the whole device. No fast charging technologies are included however. That means you can recharge smartphones and tablets in addition to the Apple Watch, but you won’t be able to take advantage of Qualcomm’s Quick Charge 3.0 or Oppo’s Super VOOC charging. The back of the charging stand is where you’ll plug it into the mains. There are also the obligatory bits and pieces of regulatory information here, nicely hidden away. The review unit we have is Silver; you can also get Rose Gold or Space Grey options. 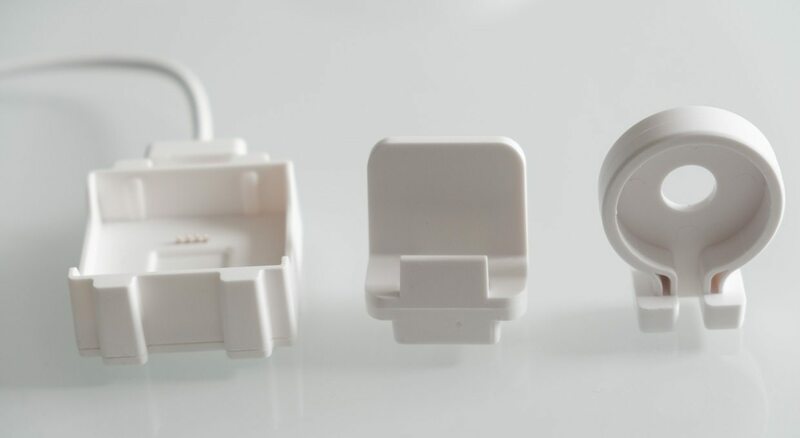 In the box, you’ll find the charging stand and its corresponding lid, three clip-in adapters that you allow to charge the Apple Watch, a Fitbit Blaze watch or a smartphone. There’s also a clover leaf power cable and a brief instruction manual. Installing your chosen charger is pretty straightforward. Just pass the USB plug through the hole in the lid, and connect it to the internal USB port. There’s a little light that comes on once the charging stand is powered. Using the charging stand with the Apple Watch or Fitbit Blaze is probably the best choice as they have bespoke stands included, but the smartphone charging dock still works well enough. The most important thing is to place the Micro USB, Lighting or USB-C plug at a good height; too low and you’ll find it difficult to plug in; too high and your device will rest on the plug instead of the stand. At least it works with all three common standards! 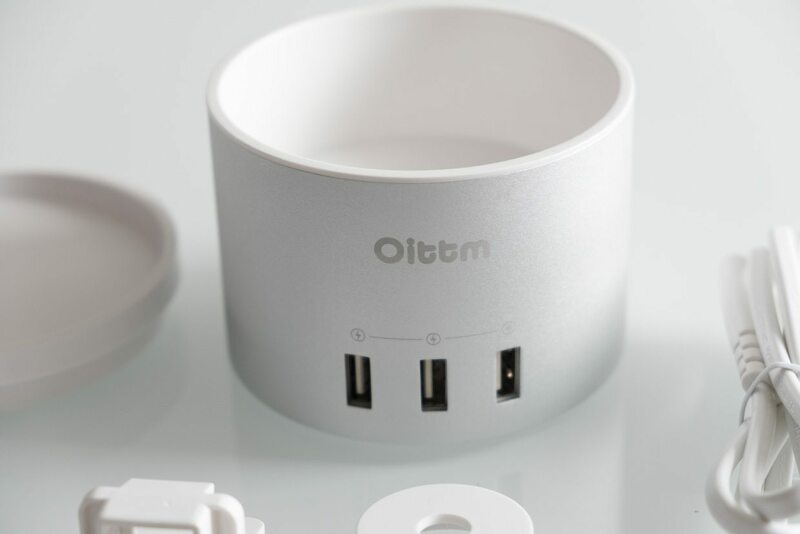 The Oitmm Charging Stand fulfilled its promise, providing easy drop-on charging for the Apple Watch. 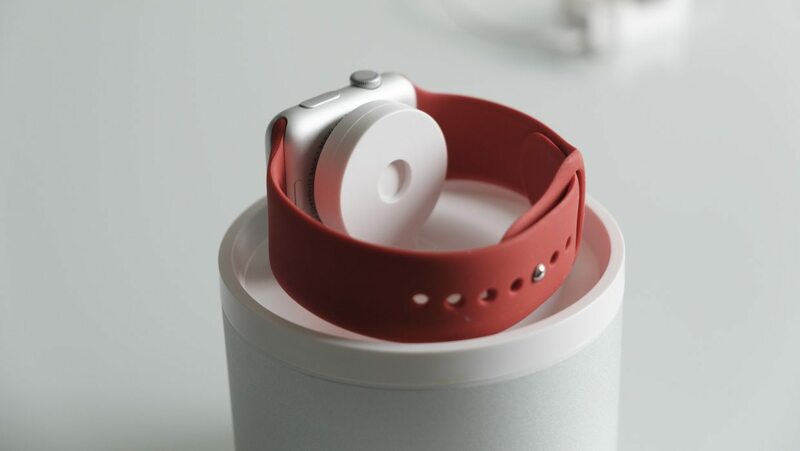 Once in position, the Watch attached magnetically to the original Apple Watch charger within and stayed securely in position. The three frontal USB ports worked well too, although having all three ports in use took away from the charging station’s clean aluminium design. The lack of Quick Charging is lamentable, but understandable given the low price of the dock. The overall appearance of the Oittm Charging Stand matched our expectations; not quite as lovely as an Apple device but certainly a good match in style. 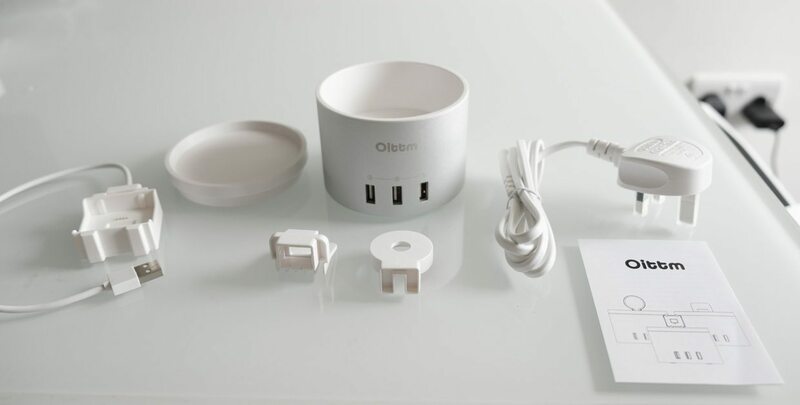 This Oitmm Apple Watch charger does what it says on the tin, providing an easy way of recharging your favourite wearable without the need to struggle with a cable every night. 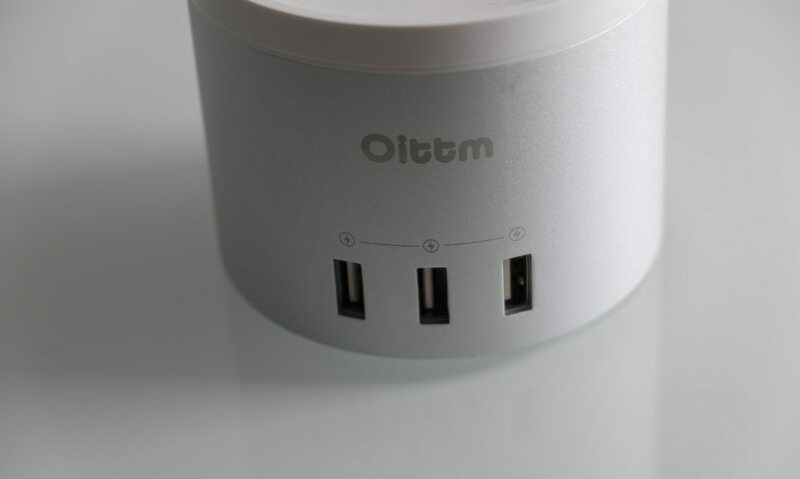 The additional USB ports are helpful too, allowing you to charge four devices from one plug, even if they look a bit messy. 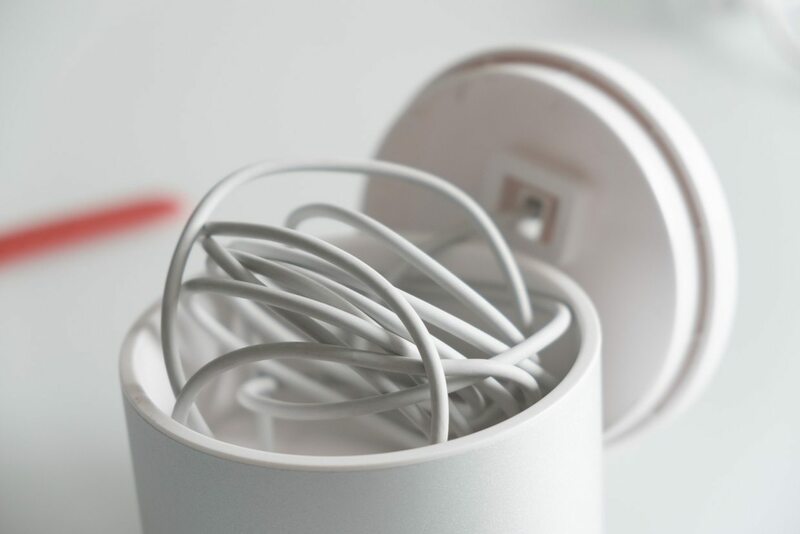 The charger is a little big and heavy, so it doesn’t suit portable use; put it on your night stand or desk and leave it there. Overall, a decent choice for a little over £20.